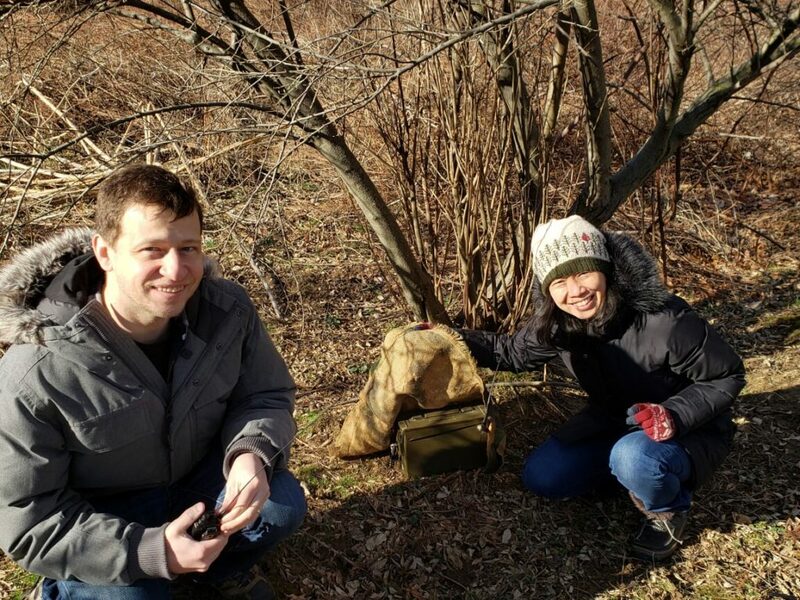 Jeff Ames, AC2VB (left) and Wai Yee Chiong, N1YEE pose with an amateur radio direction finding transmitter on Saturday March 16, 2019. Photo credit Stephen Gingo, KB2RMS. The Delaware Valley Radio Association will host an amateur radio direction finding workshop at the club station on Saturday April 6, 2019 from 10:00am to 12:00pm. This event is free and is open to both members and non-members. You do not need to be a licensed amateur radio operator to participate. At the workshop, club members will demonstrate various amateur radio direction finding equipment and techniques that can be used at future ‘foxhunts’ the club will host in Mercer County later in April and May. It is also an opportunity to learn about different aspects of the amateur radio hobby. Optionally, assistance is available to help attendees construct their own tape measure yagi antenna. A parts and materials list is available at the end of this article. Please use the form below to register in advance or to contact us for more information. The DVRA club radio shack is immediately adjacent to I-295 Exit 75 at Mercer County Airport in Ewing Township on Route 579 (Bear Tavern Road) in Ewing, NJ. Turn into the short road marked NJ Dept of Transportation. When using a GPS, enter “798 Bear Tavern Road, Ewing NJ”. We’ll be following the VHF 3EL Tape Measure Yagi plans published by Jeffrey Bail, NT1K.